The Board of Control for Cricket in India (BCCI) has offered Rahul Dravid a two-year extension in his contract as the coach of the India A and U-19 teams. The Board of Control for Cricket in India (BCCI) has offered Rahul Dravid a two-year extension in his contract as the coach of the India A and U-19 teams. The CAC, which comprises of Dravid’s former India teammates Sachin Tendulkar, Sourav Ganguly and VVS Laxman, decided to offer the two-year extension to the 44-year-old, after a successful stint with the junior side, that saw them reach the final of the ICC U-19 World Cup last year. There were rumours of fresh interviews being conducted for the head coach of India’s men’s team, however, it has been clarified that no such process will be followed in Dravid’s tenure extension. “In Dravid’s contract, there is a line which states the BCCI can give an extension to him. Whereas in (Anil) Kumble’s contract there is no clause of extension. That is why process was followed in Kumble’s case,” said a BCCI official. The report, however, added that details regarding the contract are yet to be finalised. The report quoted BCCI sources as saying that Dravid's tenure could be extended by two years since a clause in his contract allowed it. Dravid's 10-month contract with the India U-19 and India A teams had expired on 31 March, 2017. 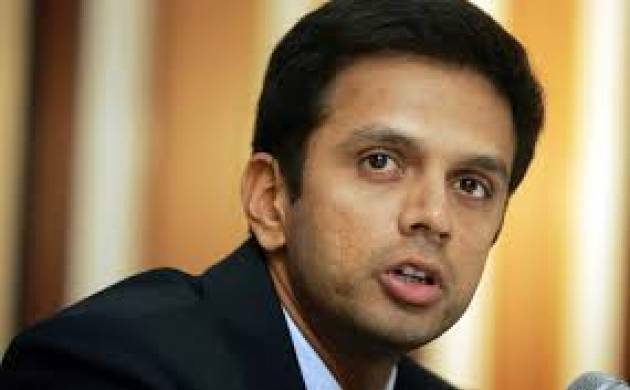 Reports stated that Dravid, like every other candidate for the post of the U-19 and India A coach, would have to go through an interview process akin to the one Kumble will have to undergo to retain his role as India coach. However, with the contract allowing an extension, the CAC decided to extend Dravid's contract without calling for new applicants. A final decision on Dravid will be taken during the Special General Body meeting, where his remuneration is also set to be finalised. “The CAC has approved the two-year extension and now everything depends on money to be paid to Dravid. The earlier contract was for ten months and the board paid him more than Rs 4 crore. Now, a new contract with new salary has to be provided,"